Our company is extremely engaged in manufacturing and distribution of the industrial compressor fitting Mta in India. Our specifically designed product is more durable than the other company’s products, as we are making it by using the great ranges of materials. Our capable specialists are largely expert in making of this product without any single default in it. This compressor fitting Mta is manufacturing by following the international method and quality matters to make the qualitative product. 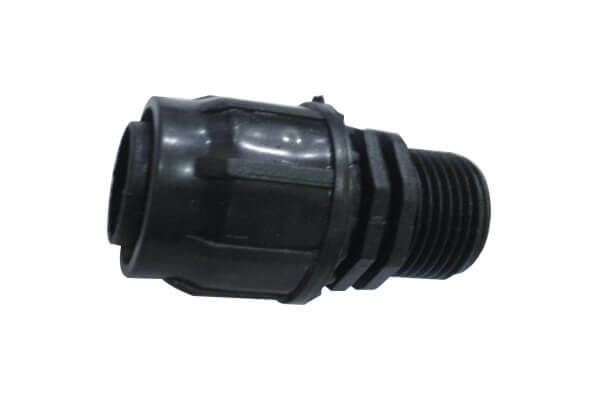 This fitting Mta is extensively applied for agriculture to plug Water delivery pipes and Sprinkler pipes, telecom Industry to drip Irrigation System etc. our range of fitting Mta is are simple to handle and fit. No mirror and no electricity are required for this product. This type of fittings is manufactured in conformity with the quality standards of the industry. The assortment is extremely appreciated by the consumers for its durability and quality standard.